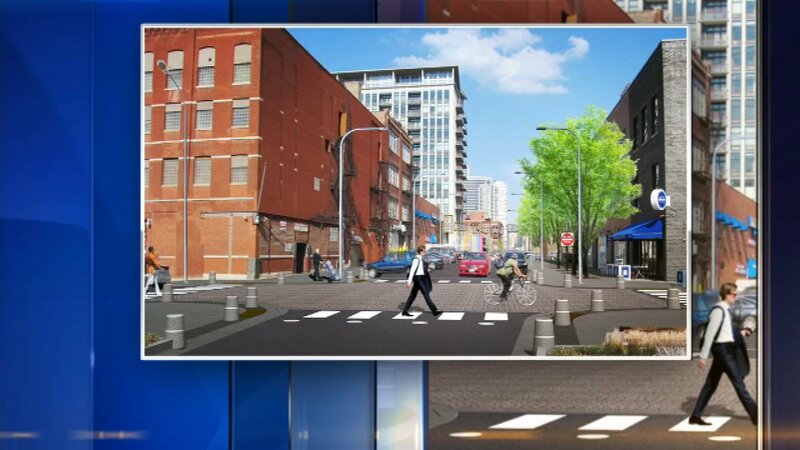 The Chicago Department of Transportation (CDOT) will break ground next month on the Fulton Market Streetscape Project. The upgrades to the corridor in the West Loop neighborhood aims to make the area more pedestrian friendly, while preserving its historic character as a meat-packing hub. Google's Chicago office is located in the area, which is poised to be an incubator for the tech economy. 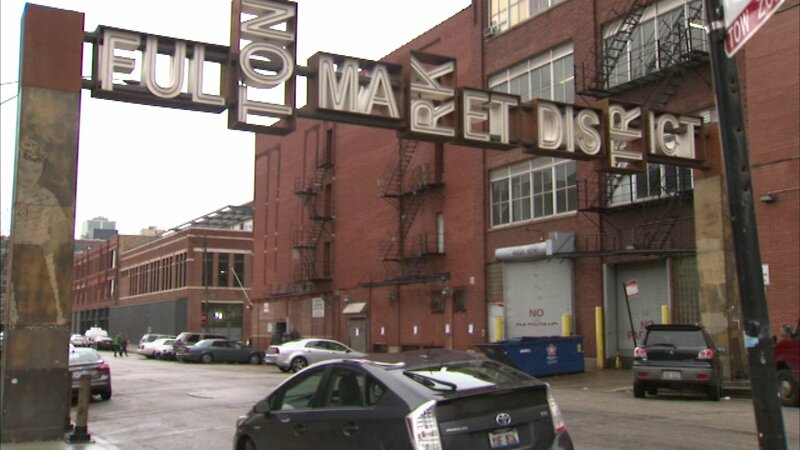 "Fulton Market has played an important role in Chicago's economic history and it has undergone a remarkable transformation in recent years," Mayor Emanuel said. The City Council designated the Fulton-Randolph Market District as a Chicago Landmark in July 2015. 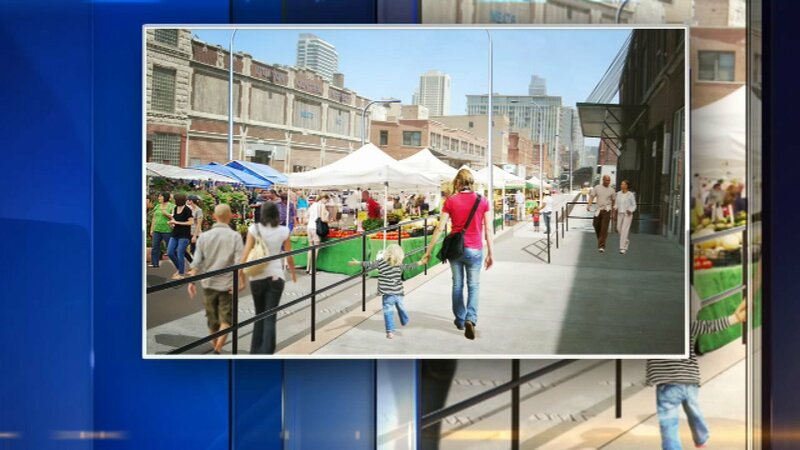 The plan, designed to accommodate outdoor markets and to accentuate historic elements of the neighborhood's architecture, was approved by the Landmarks Commission in 2015. A gateway arch was constructed at the entrance to the district on Fulton Market west of Halsted Street in 2015. The streetscape improvements include the full reconstruction of the roadway and installation of new ADA ramps and a flex-street design that has no curbs on some blocks. It also includes hook-ups for potable water and electricity to accommodate use as a farmers' market. - Granite cobbled intersections with granite accents and attractive street furniture and seating throughout the project area. - New, widened sidewalks, shorter pedestrian crossings at intersections and new energy-efficient LED street lighting. - Minimalist design enhancing the industrial character by maintaining raised sidewalks and dock areas. - Separate truck parking zones and a wide through lane allowing adequate room for cars to maneuver. - Formalized angled and parallel parking areas that serve as loading zones during industrial hours and parking during entertainment hours. Construction for the first phase of the $19.6 million project, from Halsted to Carpenter, will start in early March and is expected to be complete by summer 2018. The second phase, from Carpenter to Ogden, is currently in design and is scheduled to begin in early 2018. 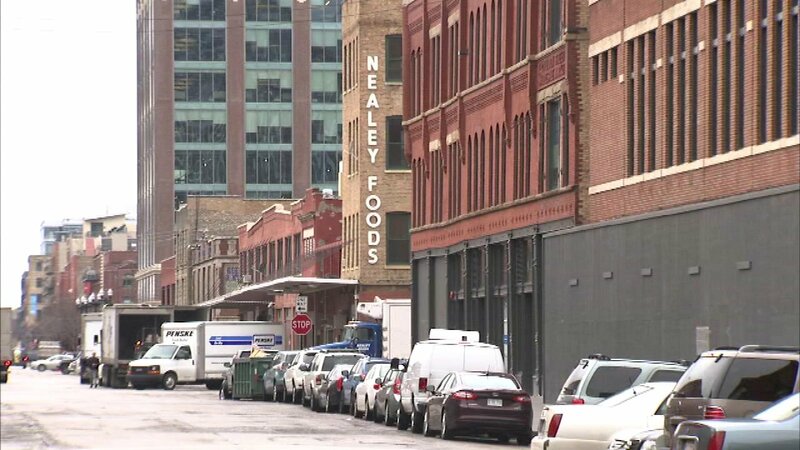 Throughout the work, Fulton Market will remain open to motorists and pedestrians and access to businesses and residences will be maintained. In order to provide a safe construction zone, parking will not be allowed in the area of active construction. In addition, there will be periodic parking restrictions on some side streets.